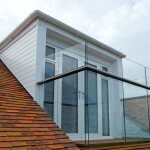 Make the Most of Your Bedroom with a Glass Juliet Railing Balcony. Chances are your bedroom is a private sanctuary. A place where you can relax and recharge in privacy. A Juliet balcony is a wonderful way to add to the serenity of your bedroom. Add light, a sense of space and fully appreciate your surroundings with the beauty of our non-obtrusive glass balconies. A glass and metal Juliet balcony lets you take advantage of natural light at its best. Enjoying those early morning rays as you sit in bed with a cup of tea must be one of the best ways to start the day; all that natural light will set your day off perfectly. And come the autumn and winter, you’ll have an unhindered view of the night sky, perfect for a spot of stargazing before bed. On a more pragmatic angle, a Juliet balcony will bring more light into bedrooms that are a bit too dark and dingy. Perhaps you have an embarrassingly dark guest room? Fit one of our balconies and your guests may love their room so much they don’t want to leave. Designed and built to exacting high standards, two exclusive newbuild detached homes in Harberton Mead, close to Oxford city centre are among the first to showcase new frameless Juliet balconies, supplied and installed by Balcony Systems. 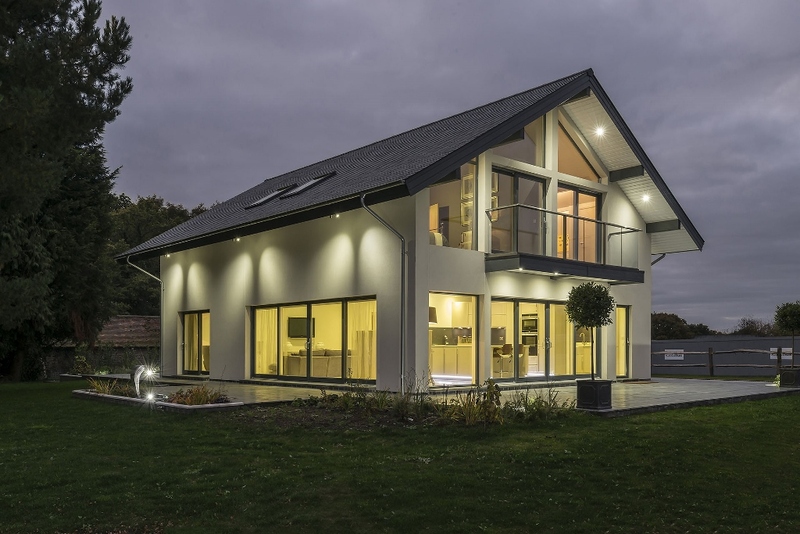 Two clear glass balconies supplied by Balcony Systems fitted the design brief perfectly for Scandia-Hus, adding the ‘wow’ factor to the Swedish self-build home supplier’s Adelia Show Home at its East Grinstead headquarters. 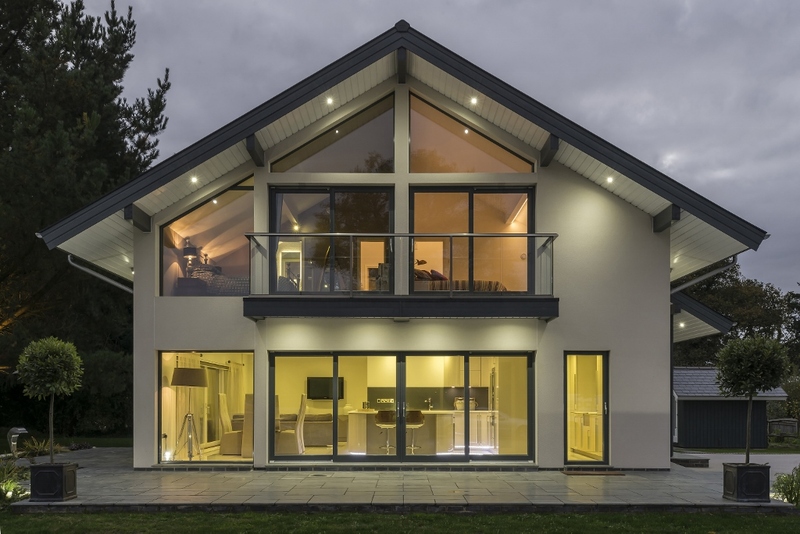 When it comes to enhancing light and spaciousness within the home, more and more selfbuilders in the UK are choosing to install French doors with Juliet balconies, or external balconies, as attractive and functional design features. 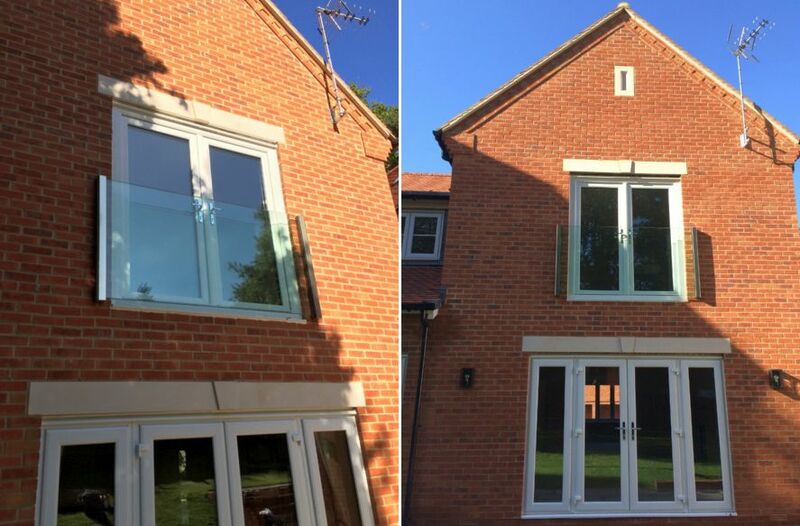 Until recently, the balustrading options were either railings or bars that obscure the view, or a bespoke glass design, which is both expensive and time-consuming to fit. Railings and bars – traditionally used to provide the required safety and security for balconies – are often thought of as a ‘cheaper’ or ‘easier to fit’ option, but that is not always the case. As well as requiring regular maintenance, such as painting, bars reduce the amount of light to the interior while the ‘cage-like’ appearance obstructs views to the outside. 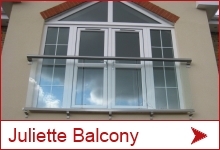 Now there is an attractive, alternative and immediate Juliet balcony solution – aluminium and glass balustrading, which combines convenience with cost-effectiveness to suit all types of property sizes, styles and budgets. 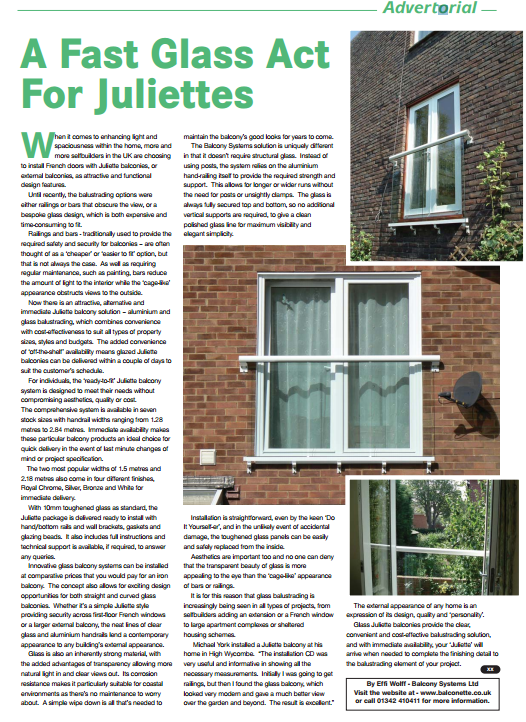 The added convenience of ‘off-the-shelf’ availability means glazed Juliet balconies can be delivered within a couple of days to suit the customer’s schedule. For individuals, the ‘ready-to-fit’ Juliet balcony system is designed to meet their needs without compromising aesthetics, quality or cost. The comprehensive system is available in seven stock sizes with handrail widths ranging from 1.28 metres to 2.84 metres. Immediate availability makes these particular balcony products an ideal choice for quick delivery in the event of last minute changes of mind or project specification. The two most popular widths of 1.5 metres and 2.18 metres also come in four different finishes, Royal Chrome, Silver, Bronze and White for immediate delivery. 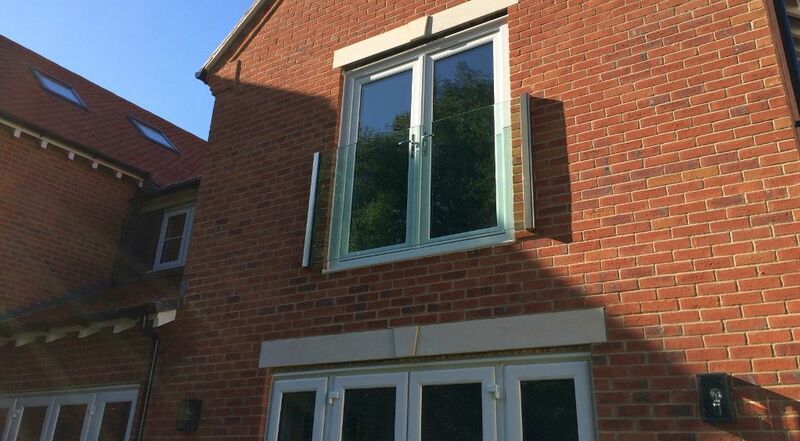 With 10mm toughened glass as standard, the Juliet package is delivered ready to install with hand/bottom rails and wall brackets, gaskets and glazing beads. It also includes full instructions and technical support is available, if required, to answer any queries. 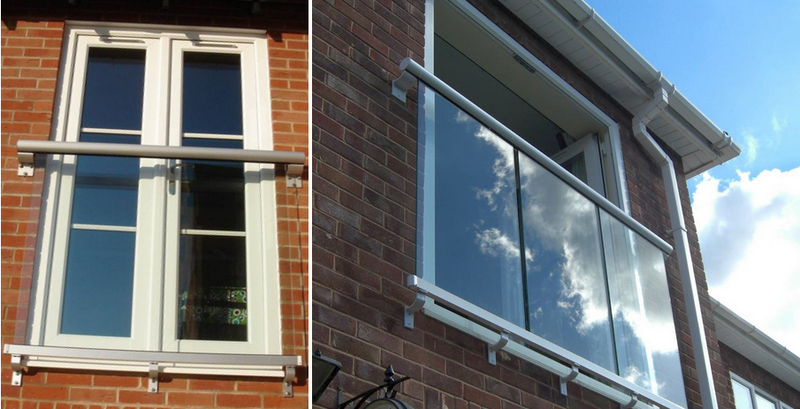 Innovative glass balcony systems can be installed at comparative prices that you would pay for an iron balcony. The concept also allows for exciting design opportunities for both straight and curved glass balconies. 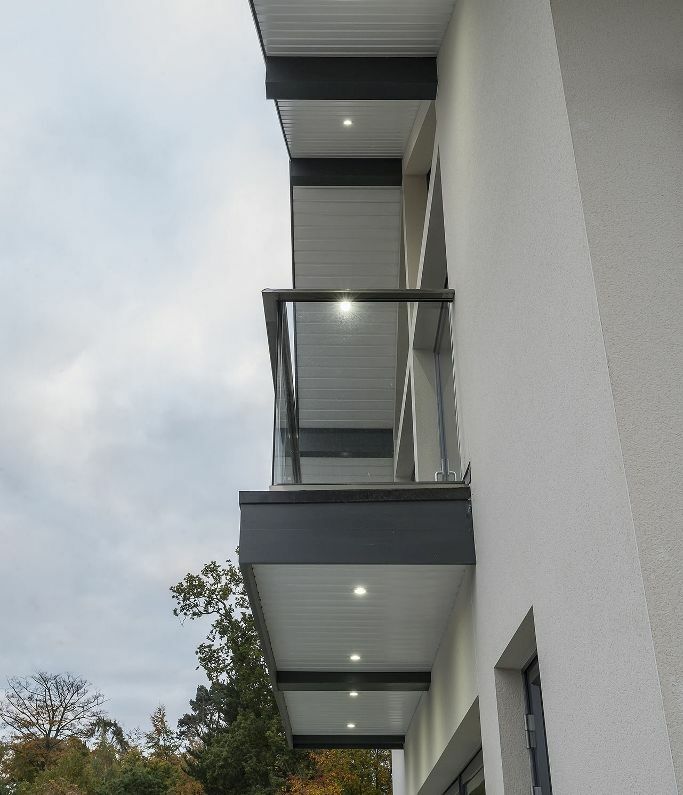 Whether it’s a simple Juliet style providing security across first-floor French windows or a larger external balcony, the neat lines of clear glass and aluminium handrails lend a contemporary appearance to any building’s external appearance. resistance makes it particularly suitable for coastal environments as there’s no maintenance to worry about. A simple wipe down is all that’s needed to maintain the balcony’s good looks for years to come. 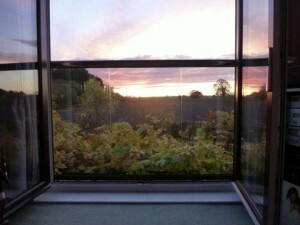 The Balcony Systems solution is uniquely different in that it doesn’t require structural glass. Instead of using posts, the system relies on the aluminium hand-railing itself to provide the required strength and support. This allows for longer or wider runs without the need for posts or unsightly clamps. 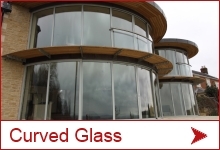 The glass is always fully secured top and bottom, so no additional vertical supports are required, to give a clean polished glass line for maximum visibility and elegant simplicity. Installation is straightforward, even by the keen ‘Do It Yourself-er’, and in the unlikely event of accidental damage, the toughened glass panels can be easily and safely replaced from the inside. Aesthetics are important too and no one can deny that the transparent beauty of glass is more appealing to the eye than the ‘cage-like’ appearance of bars or railings. 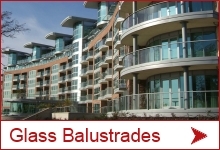 It is for this reason that glass balustrading is increasingly being seen in all types of projects, from selfbuilders adding an extension or a French window to large apartment complexes or sheltered housing schemes. 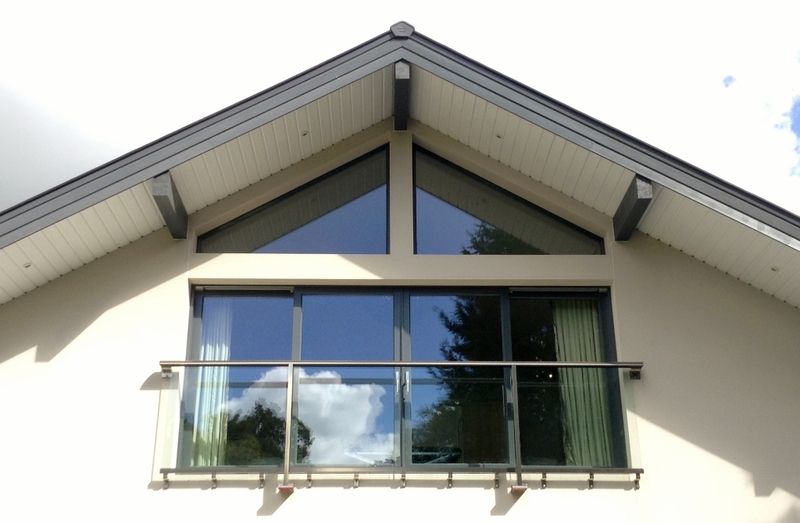 The external appearance of any home is an expression of its design, quality and ‘personality’. 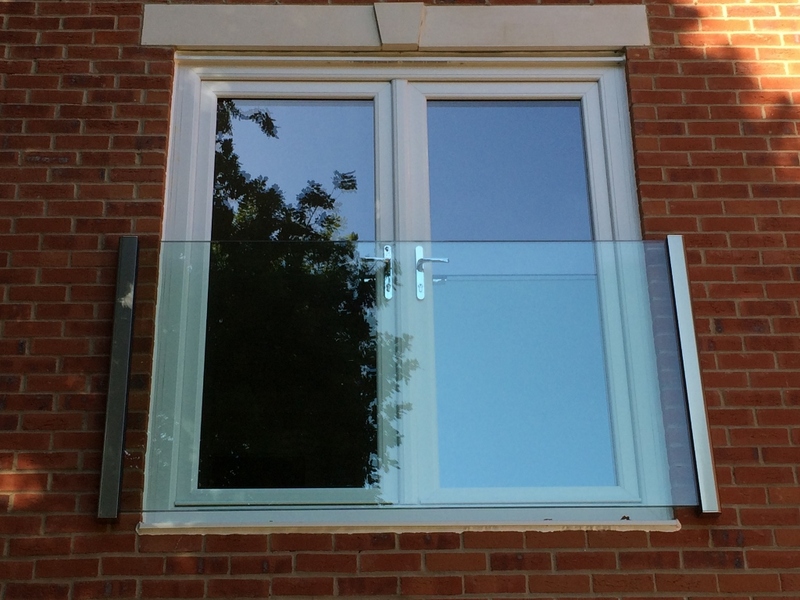 Glass Juliet balconies provide the clear, convenient and cost-effective balustrading solution, and with immediate availability, your ‘Juliet’ will arrive when needed to complete the finishing detail to the balustrading element of your project.